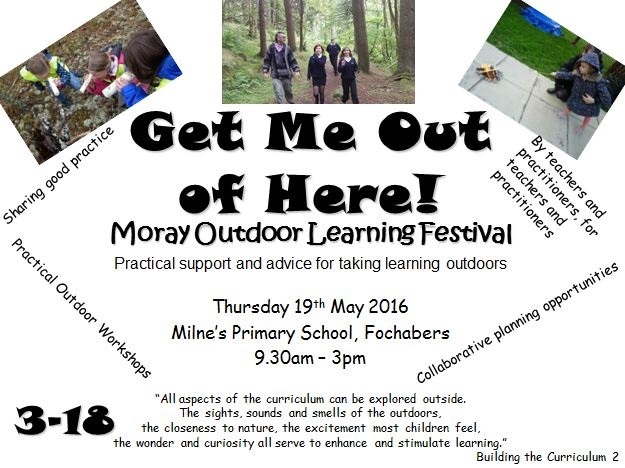 Welcome to the Moray Outdoor Learning Festival. 2016 has been another fantastic year for Outdoor Learning in Moray, thank you to everyone that came together on Thursday 19th May to participate and support 'MOLF 2016'. We have uploaded resources and information that have come out of this event in the 'MOLF 2016 online delegate pack'. 2. MOLF workshop programme 2016.(WORD). 3. MOLF 2016 Online Delegate pack. (WORD).